Welcome to The New Year 2006… What?? Ooops okay then I guess 2007 then! I am sure that as healers and conscious travelers of the universe we are all noticing the increase in time. It is like we are in a time warp. Time is passing us by far to quickly. In speaking with “ an elder” time is in fact speeding up. There is so much to be done before 2012 that we are all on an accelerated path. My only suggestion while we are all on this accelerated path is to always remember to Stop and Smell The Roses! Looking back at 2006 (our 2nd year of representing The LIFE System) we would like to thank each and every one of you for your support over the year! Honestly we feel so blessed each and every day to be part of this bioenergetic movement. I remember a time when waking up and “going to work” was a real drag. We have found a new lease with The LIFE system. Guess the “Get a LIFE” really rings true to us! Our year has been a blessing business wise. We have introduced The LIFE System to hundreds of practitioners who have introduced The LIFE System to thousands of clients! Talk about healing on a large scale. We ended the year with our most successful promotion to date called The Lapipod Promotion as well as our 2nd Annual International LIFE Symposium held at The Vallarta Pallace Puerto Valarta Mexico. The New Year promises to be very exciting for both The LIFE System and for Quantum Life. Sit back, buckle up and enjoy the ride! The box is bigger and does incorporate both light and sound therapy. On each of the ankle and wrist straps there is a further light emitting diode. The actual LIFE Hardware is significantly bigger. Every signal or Frequency within The LIFE System will have it’s own musical note or tone. This unique healing tone or sound wave will be generated through the computer sound card when applying feedback. You may wish to use head phones on your client to enhance the healing properties of the sound carrier waves. Every signal or frequency in The LIFE System will also have it’s own light emitting frequency property. The light diodes of blue, red, yellow and green will then generate a healing light through the diodes. Now this feature is unique to The LIFE System and is currently the only system available on the market with such an application. We are sure our competitors will follow and to be quite frank we don’t blame them. To generate both light and sound healing for each and every tone within The LIFE System is quite extraordinary. Typically these systems generate electro magnetic feedback only, now with The LIFE 2nd Generation you have not only electromagnetic feedback but also light and sound healing. Congratulations to LIS for this development, we are certain this will set the standard for these types of devices. If you have an older LIFE System and wish to upgrade this will be available towards the end of February 2007. Please watch out for further emails on the process on how to do this! We anticipate hundreds of upgrades so please be patient during this time. We are also pleased to let you know we are considering offering the upgrade opportunity to existing device owners of other devices. We just feel so excited with this release we want as many practitioners using this devices as possible! If this is feasible we shall let you know. There have been some lucky few who have already ordered their system with our early bird promo as well as an extra VERY LUCKY FEW who have already won The much anticipated LIFE 2nd Generation! Congratulations to Dr. Lamar and Claudia Diltz from Kansas for winning the draw for the LIFE 2nd Generation in Puerto Vallarta Mexico as well as Mary Lou Jaeger from Arkansas who won The LIFE 2nd Generation with our “Get A LIFE” promo early this year! Please be assured those of you that took advantage of our early bird promo will be on top of the list! WE WANT TO EARN YOU EXTRA MONEY! GET YOUR OWN FREE BIOLIFESTORE NOW! Now you have all heard us speak of www.biotechpractitioner.com and just when you thought we had finished we pulled another rabbit out of the bag! We have teamed up with Healthstores so that you can actually make money as well! We receive the order and ship the client the product within 48 hours of receipt. You can view your orders anytime on your back end website via www.biotechpractitioner.com. Step 2: Go to the About Me, then My Website link. Click on My Store Account to track your sales commissions. Send as many clients your store link. I hope you are all enjoying this fresh new start to another year, with renewed energy to start new projects and also complete any that are due for completion. Christmas comes and goes each year and as we feel the magic in the air and the anticipation of what's to come, hopefully we remember to cherish and give gratitude where it should be given. Back to the New Year!......Quantum Life is busy integrating and preparing to expand it's service by providing other products to compliment the L.I.F.E. System. We will very soon have a website ready, listing all these new products. 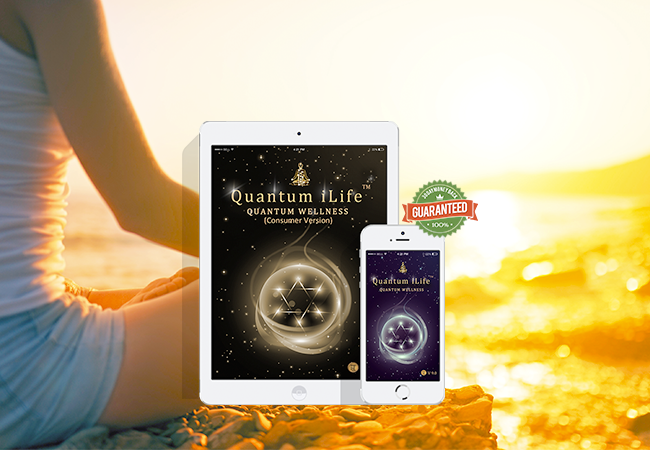 Please send us an email if you have any recommendations of health tools and/or products to integrate at: info@quantum-life.com We are always open to new technologies and ways to enhance health & wellness. We will be adding a section to our monthly Lifeline newsletter to include health tips from Dr Mercola and other similar Doctors and Health Specialists, to benefit your practice. We will also be adding a section to the Lifeline newsletter where we are asking for you as the healers/practitioners to share your knowledge with the other Lifers. Please send us your 'knowledge and health tips' by email to: info@quantum-life.com, thank you. Thinking of purchasing the HEB but can not afford the $2200USD? Frustrated that you did not take advantage of the HEB for only $1500USD? In speaking with LIS they have kindly extended their Promotional Offer of the HEB to all existing LIFE System Practitioners. In other words if you are a LIFE System practitioner old or new and want to acquire The HEB then now is your chance. You can do this for only $1500USD instead of the normal $2200USD. Hurry though as this offer ends January 20th 2007. Post comments on the pics if you like! What can I say that was’nt already said at the conference! Those that could not make it last year please don’t miss it this year! Our International Symposiums are just a great time to meet with fellow LIFERS from around the world, share success stories and learn from some of the top instructors in the world. Our next conference will be bigger and better as we will be co hosting the event to bring you a Uniting Technologies Symposium giving you an opportunity to learn about many devices at the same conference. Again the dates will be the first week of December 2007. This is an excel spread sheet which has the order form (wholesale and retail) for some simply amazing essential oils. We have taken the oils from the reactivity test page and offered replacements which are easy to obtain. This Symposium was nothing short of fantastic! Chris Keser from LIS unveiled The LIFE 2nd Generation Hardware, Dr. Greenberg captivated the crowd with her case studies while Randy Maccreary stirred the crowd with his deep emotional work and how we are all connected! April Dangerfiled a Quantum Life star started the event with our basic training supported by Dr. Linda Henderson while her Aprils husband Michael Dangerfield illustrated Metaspace! This was a winner! Elizabeth Bloom from Here, There and Beyond Essential Oils lifted the room with her essential oils. They are phenomenal. This was supported by Helene Silver sharing her anti aging secrets. From Zero to Hero star Gayla Erickson… She is not one of our top producers for nothing! What a pity if you are looking at building your practice and could not get to hear her! As for Accupuncture and Dr. Paul Henderson it was the best lecture I attended. What a unique way to use The LIFE System for the best results with the acupuncture program! The UEB has had a facelift! Mitchel Rabin joined us to share the latest developments with the now recently renamed HEB program! Need spiritual protection 24/7? The HEB may just be the answer for you. We would like to share with you a 'write up' that Randy McCreary wrote last year for a local newspaper, called 'Surviving Christmas' as this truly expresses the meaning of Christmas very beautifully. We sometimes forget to remember what is most important about life because we are so involved in it. This write up helps us to remember what is important, especially at Christmas time. A tip from Randy for next Christmas: For every item of clothing you receive, wrap three items of clothing and donate to a charity. Wanna know who Randy is? Check out his You Tube appearance! This time of year is indeed paradoxical. There is no celebration that manifests a duality quite like Christmas. Immediately, we conjure up images that delight the temporal senses. Feasts presented in orgasmic proportions, dazzling lights, extravagant gifts, and a variety of parties to attend with family and friends. Yet for many, such images soon fade in the harsh reality of their circumstance. Dark storm clouds appear on their celebratory horizon, casting a dim shadow across the holiday landscape. Such darkness has nothing to do with economic struggles, for some of the most rewarding gifts ever given and received are those purchased with the currency of the heart. The problems arise when the season of universal peace and love persistently present scenarios that openly conflict with such a beautiful and pure purpose. No holiday has the potential to frustrate like Christmas. The all too brief moment or two that we actually are able to spend enjoying the feeling of love that should prevail seem fleeting when contrasted with the ’12 days of turmoil’ that envelope the time of celebration. We spend, stress out, eat, argue, expect, drink, and in general complain too much. Merry Christmas indeed. The essence and Spirit of Christmas has become diluted in a disgusting panacea of excess attitudes and behaviors of every kind, with the seven deadly sins (vanity, sloth, wrath, envy, pride, lust and gluttony) on display and often encouraged at every turn. No wonder there is such conflict when the spiritual component of the holiday becomes crushed under the excesses of the physical and superficial. May I make the following suggestions to help enjoy these holidays more than any other before. Plant these seeds daily and reap an eternal reward. Practice moderation and self control in all temporal regards. Indulge in the Spirit. Forgive others freely and let all wounds be healed. Serve others with no thought of reward. Ask for nothing. Give of your time and heart, especially to those who mean the most but whom we often overlook in the urgency of our lives. Listen more than you speak. Smile with your eyes, bless with your hands, praise with your lips and serve with your heart. There is great cause for celebration in the midst of the commercial bonanza that surrounds us. An open heart that receives the true gift of love has the power to transform the lives of the giver, the receiver and all who come in contact with both. As everything that sparkles eventually fades, as the emotions of moments pass into memories, understand that it is not riches or rewards that measure a man, but the quality of his relationships. May you strive, this holiday season, to personally come to know He whom we ought to have at the heart of our celebration. Without being cliché, such a focus will allow your holiday season to be a pattern for living the rest of your life in joy, peace and love. May God bless you richly as you seek His finest gifts for you and those whom you love. As for our QL Ladies… thank you to all of you! You all made it such a wonderful time. Quantum Life were blessed with taking credit for such a well organized event. Always thankful for the gratitude we would like to share some of that with Tamara Boreman our conference organizer! She was simply awesome! Our presenters really encapsulated The Mexican gift of gratitude. Each presenter donated wonderful gifts to be raffled off to the attendees. A Video Ipod, HEB and Life 2nd Generation were only some of the gifts raffled off! Thank you to all the presenters who made this possible. Last but certainly not least to all you the attendees. Thank you so much for your contribution. A lot of time away as well as the expense does not go unnoticed. It has taken a toll being away for a week, so I am just now getting a few to drop you guys a BIG thanks for all your work and the extra miles you both went to make this event a huge success for everyone that was fortunate enough to attend! After a stressful November 30th here in Kansas watching the snow and ice whirl around the 4 state area, it started to look like we’d be unable to fly out, thanks to God for guiding me safely to Tulsa Friday night, I was able to get 4 hours rest after being blockaded on the 412 Hwy just outside of town due to thick Ice on the road and semis parked in both lanes! After taking the SUV/ 4x4 P/U path through the ditch I was finally relieved I would indeed be able to make the airport early A.M.
Then the next "test" of endurance! Lol our plane escaped the icy runways of Tulsa to land in Denver only 5 minutes before our supposedly scheduled flight 1669 was to depart to Puerto Vallarta. Well so we thought…turned out UniTED Airlines didn’t have that connecting flight that day ;O~ Yes people that are under stress tend to make mistakes more often then not! After some fast talking to the airline hostess, we were able to connect to a Frontier flight that got us out of Denver after a 4+ hour delay! It was a real wonder to land in PV, MX. Just in time to see the Saturday sunset. After a testing language barrier to escape the PV airport and find our “ride” to the Vallarta Palace we finally breathed a sigh of relief! "The Best of the BEST! WOW!! Water, sand, Bioresonance charged people, plentiful delicious food and info not to be missed lay ahead for the next 3 days! We were living life large and loving our “Casa Bonita” The way the Vallarta Palace staff and all the Quantum Life people treated us all as the special guests we were really made all the effort getting there worthwhile ? Some of the highlights I thought really stood out were Dr.Thornton Streeter’s seminar on Aura & PIP Field Imaging, Paul Henderson’s speech on Acupuncture Point therapy and Gayla Erickson’s talk on going from 0 to HERO! That I believe is indeed what God saved me for. To make heroes out of the ones who come to us with open minds and belief systems. This amazing bio-feedback health care for the 21st Century is where I see this new “paradigm shift” in health care leading us to. It is no longer a question of should we keep going back to the same doctors and getting the same old results, it is a question of how many can we share this awesome technology with that will bring "the doctor" back into our homes like the days long gone! This is what LIFE should be about, plenty of energy to GO and no more aches and pains!! Some suggestions to make a great experience even better, although not an insult what so ever, the audio system (PA) and the resonance of the large room made hearing all the speakers clear rather difficult. I think my own deafness & tinnitus made it that much harder. I hope as soon as you get the audio’s released I will be able to replay all I missed and keep the awesome knowledge coming through to my now united brain halves ? The little things that make all the difference are working with people like yourselves that made us feel so welcome and whole! I only had two mishaps the whole trip, Room Service broke one of my glass supplement bottles and didn’t leave a note, leaving me to pick up the bottle with ¼ of the bottom missing, dropping Spanish Black Radish on the tile floor. And the 2nd “bummer” was accidentally leaving my 8” x ¼” Thick round marble “Energy Plate” on the table Tuesday night at the cocktail/ dinner event, by the pool, I didn’t even tip a drink! Lol Hopefully someone will return it, as these cost us $100 each, the amazing uses for these Quantum Charged plates will amaze some curious onlookers with the muscle test. Our LIFE Systems Bio-Feedback sessions will be $200 for a 2 – 2 ½ hour session. We will give a $50 discount for referrals and a $30 discount for returning clients. Follow up treatments will be $50 and $35 ea. If purchased 10 at a time in advance. We will also do EB-Pro and B.E.S.T. Ionic foot bath de-toxes, as well as Bio-Photonic pain and therapy treatments. I will schedule work out of our new business partners Quick Gym (www.quickgymofwichita.com) as soon as time and finances permit, we will open Wellness Center Ministries of Wichita and feature the advanced GENESIS I & II units and work on multitudes as they gather for stress & pain relief! It was so nice meeting you at the LIFE Symposium and I was more than satisfied with the four days we had together. You have done an extraordinary job composing the program, finding such a beautiful hotel and managing to get everything and everyone together - many thanks to both of you. I have also sent a mail to Tamara because she did a fantastic job and she is part of the success. I am so thankful that you let Rolf participate in part of the symposium because there is definitely a change in his attitude, not only about the LIFE system but also about life itself if you see what I mean. I hope it will possible for me to go to next year´s symposium and it would be lovely to meet both of you again. Best regards and a wish for a MERRY CHRISTMAS and a HAPPY NEW YEAR! The International L.I.F.E. Symposium was an exceptional event. The immaculate accommodations, gourmet food and service were fantastic. It was extremely enjoyable to attend the numerous seminars. We felt the seminars helped both of us further our understanding of the L.I.F.E. System and its use, witness first hand the quality of the presenters and the knowledge that they were able to communicate. Both of us had a tremendous time in doing our presentations and we are both thankful for the kind review comments. Chris Keiser was wonderful with his presentation. Also having the new HEB program explained in such detail made us realize we were missing out on a great opportunity for service to our clients. Those wonderful warm days and warm water were incredibly soothing to our body, mind and spirit. The other attendees were so open and friendly. It was our best vacation/learning experience ever. We look forward to another great symposium in 2007. Many of you were able to attend this year's International Symposium. If you did, I'm sure you are as happy you did as I am. What a thrill to witness Thorton Streeter, a UNESCO medical device tester/researcher, stand up to praise Chris Keser for having developed the LIFE device. He stated that he had paid his way there so he could tell us all what a fantastic piece of equipment we were using. With other medical devices, he noticed improvements short-term, but with the LIFE device, he was excited to see the therapy hold. Out of 190 devices, he considers LIFE to be one of his top five favorites. I was also pleased to find another device I use and sell in my practice, SCENAR, the Russian hand held pain reducer, is also in his top five. Dr. Sherry Greenberg gave an interesting demonstration of the latest in EMF protection and EMF measuring devices. We were astounded at how high the EMFs were in the training room and how quickly they were able to be reduced. Dr. Paul Henderson showed his expertise at teaching by having us all able to say the names of many of the Chinese acupuncture points by the end of his presentation. We now know how to help someone with headache pain, or relax someone who's stressed out. Dr. Randy Mc Creary's presentation on how to help someone who's been physically or sexually abused was absolutely phenomenal! He demonstrated how closely we are tied to our spouse through the use of ropes. And how we may have cut the abusive spouse out of the relationship, but we are still carrying the tell-tale ropes. It was enlightening to learn that we can balance the client, but until we cut the ropes off, through the use of energy and acupuncture work, they may not be whole. It was an honor to be asked to teach among these and other well- known and respected trainers. I have enjoyed a large influx of clients and sales over the last two years, so Ryan & Karen asked me to share tips on marketing strategies. If you would like to have an emailed copy of my presentation or to order the LIFE Listing that helps you locate therapies in alphabetical order, please feel free to email me at gaylafe@aol.com or call my health spa at (509) 586-6574. Count on Quantum Life to keep us abreast of the latest and greatest! Don't get left behind, be sure to attend the Uniting Technologies Seminar next year.